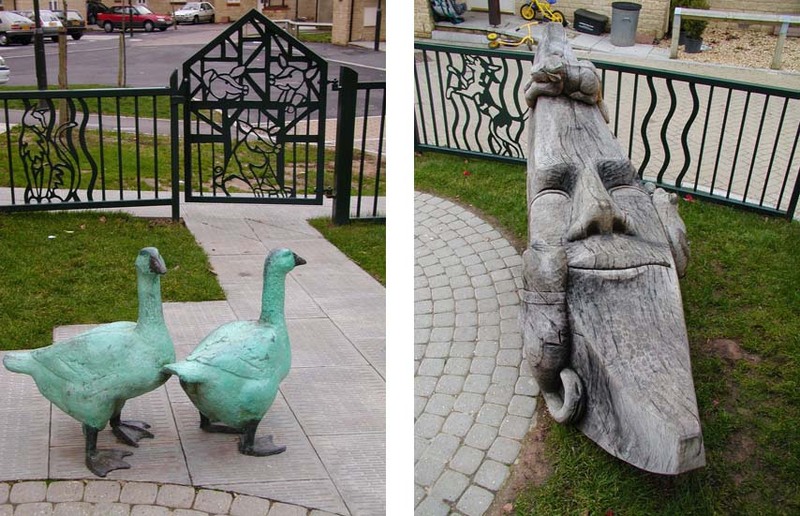 Decorative steel railings, gate, bronze geese sculpture and oak sculptural moon seat on a nursery rhyme animal theme with design of associated paving. The Moon Seat was also decorated with carvings of the cat and the fiddle, the laughing dog and jumping cow. Acorn Fabrications cut, welded and bolted the steel railings and gate. The bronze geese were cast by Castle Fine Art Foundry. Phil used oak purchased from Ron Rose - Round Timber Merchant.